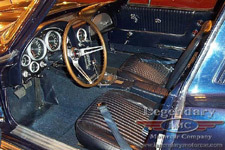 Fuel Injected, Z06, Big Tank Beautiful Daytona Blue exterior with matching dark blue interior. 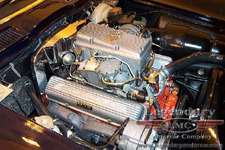 Correct number's matching L84 327/375hp fuel injected engine with a 4 speed transmission. Optioned with the Z06 suspension and brake package and also equipped with 36.5 gallon tank option. Complete with knock-off rims and gold line tires. 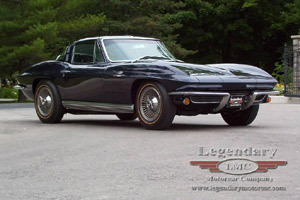 An ultra rare Corvette that would make a great addition to any collection.